How To Use Domain Sharding For Performance Optimization? Our developer Vladimir Mladenovic shares his advice on what to do when you experience poor performance with your application or website. Vladimir is specialized in Symfony PHP and Zend PHP frameworks, jQuery, Doctrine, and MySQL. He’s our team leader responsible for GIT maintenance, quick server interventions and code organization and quality. Read on as he will explain to you how to use domain sharding for performance optimization. What do you do when your website or application shows signs of poor performance? We’ve recently noticed that one of our applications, launched a year ago, saw some performance problems. We analysed the web server logs only to confirm what we were suspicious about in the first place – the part of the problem was high CPU utilization and a weaker hardware. We advised our clients to upgrade to a better hosting package (a 4-core processor, SDD disk, and 16GB RAM memory) which improved hardware and application performance, however, it still showed signs of slow performance, which we weren’t pleased with. To address this problem thoroughly, we concluded that the application also needs an easy-to-implement and cost-efficient Content Delivery Network (CDN), and we decided to use CloudFlare free plan. The network operates out of 34 data centers around the world, automatically caches the static files, and distribute these files from the locations that are the closest to the visitor while delivering the dynamic content directly from our production server. To accomplish this, the network uses a technology called Anycast to route your visitors to the nearest data center. CloudFlare integration and domain redirection were simple and fast. And while we were working with CloudFlare, we came up with the idea for a new optimization strategy – domain sharding. 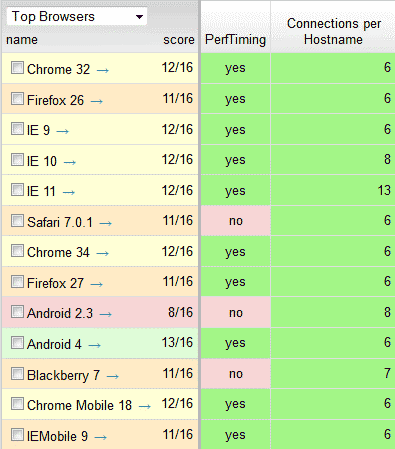 Web browsers can limit the number of requests sent to a particular web host (see image 1). Domain sharding offers one of the solutions for this problem by splitting content across multiple subdomains to simultaneously download static resources. With domain sharding, one can decrease the time spent waiting for resources to download and improve page load time by more than 30% (image 3). However, domain sharding can be implemented incorrectly, and if so, you can expect to see a negative performance of your web application. Domain sharding integration is very simple as my web application development team uses the Symfony2 framework that offers excellent options for sharding integration. If you are using Symfony2 and Assetic for serving static resources, you can define assets_base_urls parameter (HTTP and SSL) to manipulate the files (in theory). 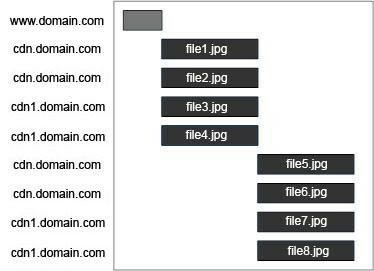 However, we had to write a specific Twig function for our application as the images are served separately from Assetic. The function has a different SRC parameter for image input and new output image parameter served from sharding. Twig function shows how to distribute the resources and benefit from caching evenly. But know this – while you are implementing domain sharding, shards should be cookieless. Moreover, to take advantage of domain sharding, you should block all server requests but requests for static resources. If you are using CloudFlare CDN, unfortunately, it’s almost impossible to implement cookieless domains. On the other hand, if you are using Apache server, with mod_expire and mod_headers modules you can have better control over resources and, for example, set caching for specific resources, or something similar. If you want to optimize your web page properly, the first thing to do would be to reduce the overall number of resource requests. Symfony2 has a great component I already mentioned, Assetic, in addition to uglifyjs i uglifycss filters that can be easily integrated into it. 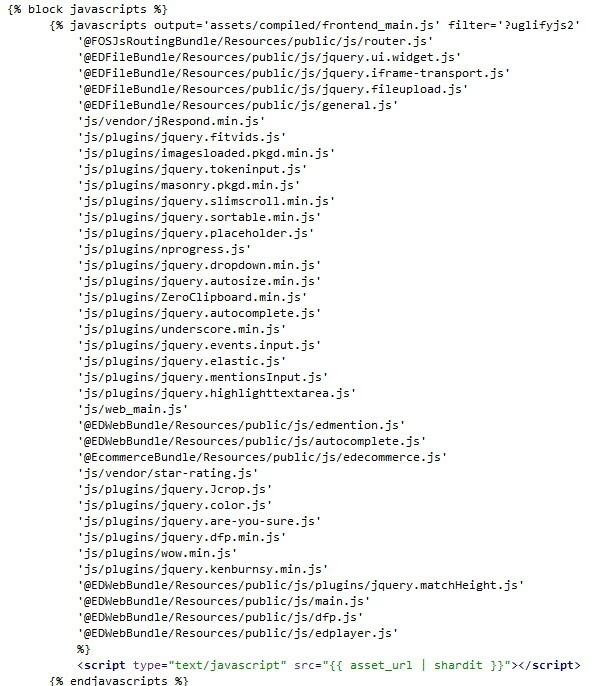 Below you can see the example of combining a larger number of JS databases into one single file using uglifyjs filter. If you are using Symfony2, you can also use ESI (Edge Side Includes) to additionally control HTTP caching. With ESI, you can cache page fragments independently – this way you will be caching a web page for 60 minutes and embedded sidebar only five minutes. Activate ESI in the main config.yml and call fragments in Twig with render_esi. If you are using Doctrine, you can significantly improve performance within a database with Doctrine cache. However, to avoid possible bugs, you need to pay attention to invalidate Doctrine cache properly. We use MySQL indexes to speed up database query – this is a good way to take advantage of MySQL. Symfony toolbar, on the other hand, helps greatly with locating problematic inquiries. The hardest part of implementation is experimenting and adding indexes in Doctrine mapping. If some of your pages are still loading slowly, and you are having a hard time determining what causes poor performance, I advise using profiler tools. One such quality tool for PHP is Blackfire Profiler – easy-to-use, intuitive and interactive. If you pay attention to the red fields in the graph, you will see the problem. Elasticsearch For Real-Time Search And Analytics: How and Why?